What Age Do Most Adults Start Losing Their Teeth? What age are most adults when they start losing their teeth? Well, it may surprise you to learn, adult teeth don’t ‘die’, which means they don’t fall out from natural causes (unless you call falling head-first off your bike or being punched in the face a natural cause!) Disease or trauma are the main culprits for adult teeth dying. Most people assume losing teeth is a natural consequence of the aging process. Not so. All too often, just like most things in life, if you lose your teeth and end up with false teeth, you’re probably the cause. Baby teeth fall out on their own to be replaced with adult permanent teeth. However, adult teeth don’t fall out from natural causes. So that’s the good (and the bad) news. You don’t have to lose your teeth, but if you do, don’t blame nature, in most cases the cause can be found a little closer to home. What Are The 3 Causes of Adults Starting to Lose Their Teeth? Obviously, a severe blow or knock to the head can cause your teeth to be instantly knocked out. Even if this doesn’t instantly knock them out, it may cause them to be damaged beyond repair and eventually you lose them. Other less obvious forms of trauma include using your teeth to open bottles, tear open bags or hold things. Your teeth weren’t designed to be used as a Swiss army knife! Finally, is you are a chronic jaw clencher or tooth grinder, beware. Did you know clenching and grinding the teeth can put more than 800 pounds of pressure on your teeth? …Clearly, this can lead to fractures and tooth loss. Besides gum disease, chronic illness such as diabetes, cancer, osteomyelitis, and autoimmune diseases, can result in adults losing their teeth at an early age. Periodontal or gum disease is known as the ‘Silent Disease’ because it doesn’t start as a full-blown disease causing serious damage to your mouth. It can sneak up on you. Before you know it, the signs you ignored destroy bone resulting in tooth loss. Now we know that, what can we do to stop our teeth from falling out? As you can see, in all the reasons for adults losing their teeth mentioned above, not once have we mentioned old age. No matter your age, your teeth can be healthy. 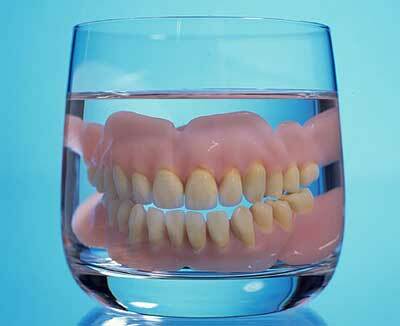 The flip side of that is, if you don’t look after them, you could lose your teeth at any age. So age is really does not a determining factor as to when we start to lose our teeth. Like so many things, lifestyle, diet and good health practices, in this case good oral health practices, are far more important in keeping teeth healthy and determining what age our teeth will start to fall out. Of all the causes mentioned above, studies reveal gum disease is far and away the main cause of adults starting to lose their teeth. And in most instances, gum disease is the result of not taking good care of your mouth with regular, daily brushing and flossing. So the best answer to keep teeth healthy and stop them from falling out is to give them a good ‘workout’ everyday combined with regular check ups and proper home oral hygiene. Remember the “Two by Two Rule” Just two minutes, twice a day, especially at bedtime. So, in a nutshell, the best way to stop your teeth from falling out is to make sure you give your teeth a good ‘workout’ everyday. Unlike going to the gym though, keeping your teeth healthy and in tip-top condition is a far less arduous task than keeping your body in shape. Just two minutes of cleaning, flossing and mouth-washing everyday, backed up with regular trips to the dentist and hygienist will have your teeth fit for a lifetime! If you are worried about bleeding gums, bad breath or worried you may have gum disease, why not contact me for some advice? My gums are receding i have two loose bottom teeth been to dentist who said a need to see hygienist then he will splint them. Will they not fall out upon cleaning? Anything is possible, but it is hugely unlikely that they will fall out during cleaning, so do not worry, just get the job done and get the splinting dub. If I were you I would get this done as soon as possible. I am sorry that it has taken me a long time to answer this query but I have been having a number of computer issues that have prevented me from replying until now. Anything is possible with human beings, and it is always possible that they might fall out when they are being cleaned. However, most dentists and hygienists of acutely aware of this problem and it does not actually happen in most cases. Sometimes I manage cases like yours where the teeth are so loose that I cannot clean them properly without risking them coming out, so I splint them 1st and then go back and clean them afterwards. So, go and see your hygienist, get them splinted, and they should be fine for many years to come unless you are very unlucky they should be fine for many years to come. Hi,My husband is 42 yrs.old and was and still is a huge milk drinker,he has a lways taken good care of his teeth.Well for the past yr.his teeth,which apear to be totally normal have been just falling out,no pain,no blood,complete tooth and roots? Its Amazing when i look at the hole it came out of,well it looks as if it was healed up,no red,no blood,no swelling? He has now noticed that one of his front teeth is very loose,this worries him,he does not want to loose one in the front.We do not understand why his teeth are just falling out when they seem to be healthy,and i know that he is healthy.Do you know why this is happening to him????? Your husband has advanced gum disease. The trouble is that gum disease is often painless and symptomless until the teeth start to loosen and eventually fall out. Drinking milk or anything else frankly will not help very much. It is the contaminating infection that burrows its way underneath the gums that causes the problem and must be eliminated for the damaging process to be arrested. So the answer is see a dentist and get the situation assessed, and then see what can be done. I am sorry that it has taken me a little while to answer this query but I have been having a number of computer issues that have prevented me from replying until now. It sounds like your husband has got advanced gum disease, but I really cannot give you a diagnosis without seeing him and doing a proper diagnosis. Whether he drinks milk or lives on a healthy diet is irrelevant. Periodontal disease is characteristically painless and in its advanced stages the teeth get loose, sometimes develop painful abscesses, and then start the fallout. He does need to see a dentist, and probably a periodontist as soon as possible to try and retrieve his remaining teeth before they fall out. I see a hygenest regularly and dentist. Root planing, periodontal maintenance, still my teeth decay to the point where I have lost several and now another tooth under my bridge. I brush 2-3 times daily, floss and use a water pik. What else can I do, I am totally at a loss of what else to do? My last resort is to see a periodontal specialist. Please relpy with any suggestions. Dentists and hygienists often do a good job, but if the condition is not brought under control it is worth getting a 2nd opinion from a specialist because either they are not managing to control the condition effectively and you need specialist care, or you may have one of the more aggressive forms of periodontitis that cannot be brought under control very easily and if this is the case, you may need to have specialist management of the condition to try and get the condition under better control. It sounds to me that you probably need some specialist treatment by a periodontist, so get your dental team to refer you on for a specialist consultation and treatment. I visited my dentist to get a clean and remove plaque from my teeth, I noticed the next day my bottom front tooth is slack, I’m wondering if the cause is the dentist scrapping under my teeth to clean? I am sorry that it has taken me a little while to answer this query but I have been having a number of computer issues that have prevented me from applying until now. Usually the scraping does not do that. It is because you have lost bone and support for your teeth but when you have them cleaned they get a bit loose and then firm up. If they do not firm up after about a month or 6 weeks, it means you have lost a lot of bone around your teeth, and you need to see your dentist, and if they cannot help you you need to be referred for specialist care by a periodontist. That is normal. The tooth or teeth will usually firm up within a week or 2 of the treatment. If they do not firm up, it means you have got severe gum disease that is so severe that you have had loss of bone that has undermined the foundations of your teeth. So, if this is the situation you need to get an opinion from a gum specialist (i.e. a periodontist) to bring the condition under control before you start losing teeth. I am age of 23 and on my left side of the bottom I don’t have tooth and I don’t remember when the tooth got broke. If you have broken a tooth you need to see a dentist to have it restored. This is not the gum problem and the tooth problem and it can happen at any age. So, as soon as possible see a dentist, get it restored before it is so badly broken that you end up losing it. I really cannot answer this because we 1st have to find out why you do not have a tooth there. So you need to have a dentist examine you, maybe take some x-ray pictures, and then decide on how best to repair this gap between your teeth. So the answer to your question is see a dentist and get them to take x-ray pictures and give you some suggestions as to what may have caused this problem and how you can rectify it. I’m 20 but I still have primary or baby booth. Recently, when I ate, I think I’ve mistakenly bitten the food and cause the baby tooth to loosen up a bit. It loosen a bit but does not falls out. It’s kind of uncomfortable to eat lately. What should l do with it? And what does it means? All of this is completely normal, and what should have happened when you were a little girl is now happening as an adult. The tooth should loosen up more with time and will either fall out or become such a nuisance that you have it taken out. Often they are so loose that you will probably pull it out by yourself, although I would not necessarily recommend this. It is going to come out sooner or later, so you might have to think about why the 2nd tooth has not appeared on you, and if it happens to be missing that you may have to get an artificial tooth put in there to fill the gap that is left when the baby tooth falls out. Often when the baby tooth falls out you will find the 2nd tooth is growing up underneath it, and it is just taking its time. So stop worrying and just let it all happen! I have lost two teeth that have just crumbled away and have one where a piece crumbled off yesterday I haven’t been to the dentist in years and am so nervous of going what can I do as am so worried I’m going to loose more teeth? You are right to be worried because you will find more and more of your teeth start crumbling away, sometimes with a lot of pain and sometimes not until you get your dental problems sorted out. Please remember that you are not the only person who is terrified of going to the dentist. There are lots of people who are like you and dentists generally speaking are very good at handling people who are very nervous/afraid to have any treatment done. Some people are so scared of having any treatment done that we arrange for them to go into a hospital or a dental hospital to have a general anaesthetic and have it all done while they are anaesthetised. Often we find that it is sufficient to get somebody to come into the practice to give you a sedation which means that you are not fully anaesthetised but you are not aware of what is going on, and we get the treatment done all in one appointment. So it is very important that you see a dentist, but shop around and find someone who can either do it under sedation or general anaesthetic for you or who can refer you to somebody who does to this kind of treatment and I am sure you will find that you can have your treatment done without too much trouble and fear on your part. Plz tell me does it can happen at the age of23? Yes, it can, and often does happen. Usually the canine did not start coming up because it is either impacted or there is not enough room for it to come up because your teeth are crowded together and there is no room for it. You should ask your dentist to take an x-ray picturec where that I to the is, and why it is jammed under the gum and not erupting by now. Sometimes you may need a little bit of orthodontic help and and even a little bit of surgery to help it on the way. This needs to be professionally assessed and dealt with, so see your dentist and ask for an x-ray picture and a proper diagnosis of what is going on, or ask to be referred to a surgeon or an orthodontist for a full assessment..
Firstly am sorry that it has taken me a long time to answer this question, but I have been having a few computer issues which has prevented me from doing so sooner. As with all of these queries I cannot really tell what is going on without seeing you to assess what is going on. Single teeth get loose for lots of reasons including damaging them at some time in the past by falling on them, the way your teeth are aligned in your gums, whether you have got gum disease, or the shape and anatomy of your teeth and your gums. The only way of really getting any help is to see a dental professional for a diagnosis and recommendations for treatment. And my dentist says my gums and teeth are healthy. But my teeth are slightly loose. He says as long as I don’t purposely move them there fine. My gums are pink and do not bleed when brushing. But my teeth are still loose. They gave been loose since I was 8 after I fell of my bike but I don’t think that is the cause.I learned to love with it. My teeth are fine in the day but start to move at night and in the morning. But when I brush my teeth their fine. It is difficult to help you because I do not know which teeth are loose so it is difficult to see why they are loose without actually seeing you and examining your teeth. If you fell off your bike, you should ask your dentist to take some x-ray pictures check the teeth roots have not been broken. You might also just have some very short roots which means that your teeth will always tend to be a little bit loose. Once again you should have some x-ray pictures taken to see if the roots are long or short. Also, when you start your teenage years, you are starting to get some new teeth growing at the back of your mouth, and these may be upsetting the rest of them. It does not sound as though you have actually got gum disease, but your dentist should specifically check for this by using a probe around your gums to check that you do not have any infection underneath the gums, as well as checking for the signs of gum disease on your x-ray pictures. My gums are receding and I feel like mu teeth are moving. Especially after going to sleep and waking up in the morning. One tooth has shifted position and feels loose. It is difficult to know what may be the cause of these problems. You say that you are waking up at night with the problem and this is often caused by bruxing or myofascial pain syndrome. If you look at both of these keywords on the Internet I am sure you will find lots of interesting and helpful information. Your gums may also be receding for lots of reasons and I cannot tell you why this is happening without actually seeing you. One of the most common reasons for receding gums is that you are brushing your teeth incorrectly, so you need to see a dentist or hygienist who can show you and a traumatic tooth brushing technique to prevent this from happening. As always, I cannot make a diagnosis for you and you should see a dental professional to get a proper diagnosis and treatment plan to prevent this problem getting worse. I hatve a lose k9 on my upper right side. Its loose. It doesn’t really hurt but its oddly loose n about to fall out. Can’t much afford a dentist. Will it cause major issues? It is always worrying you lose a tooth, because often this is the worst tooth and there may be others your mouth that are going the same way. If it is only one tooth that should not cause too many problems, but I suspect that there is more going on in your mouth than you realise, and other teeth are probably also involved. If at all possible, do try and see a dentist or even a dental clinic Where you may see an hygienist or some other dental professional to give you a diagnosis of what is going on. The premolars are the last teeth to erupt, and they usually come out when you are about 13 or 14 years old. It sounds to me like you lost one of your baby teeth and that your second tooth is actually coming out by itself. It should have grown out and be in place by 17, so something might be preventing it from growing properly. I would advise you see a dentist and have an x-ray picture taken so that they can check and see that everything is okay, but in the meantime try not to worry too much about it. I have serious panic disorder and phobia especially when it comes to medical situations. Therefore, I am a wreck when it comes to the dentist. I know have front tooth very loose. I have no coverage. I know I have periodontal disease but I just don’t have the money to deal with it. I take fermented cod liver oil for the Vitamin D, I use baking soda, Salt water and I even do oil pulling, sulca brush – anything else I can do to help my situation? My fear is so bad regarding the dentist that I even fear sedation (not waking up or waking up while dentist is still working on me). I have panic attacks in any spaces I can not get up and leave when I want – certainly can’t leave dental chair. Is the oral sedation safe? It’s something they put in a drink an hour before dental procedure here and apparently you sleep through it all. I am in Ontario Canada by the way. Thank you in advance and thank you for this wonderful site sharing your experience and advice! Thank you so much for the lovely things that you said about my website. It is lovely to know that my attempts to help people is so appreciated. Please see the previous post to Rachel about sedation. Let me give you a little bit more detail. Dental phobia is well-known as a problem that occurs in a significant number of people. Here in London there are specialist dental units were devoted to managing people who suffer from dental phobia. That usually includes the sort of things you have mentioned like medical phobia and being enclosed somewhere where you cannot get out. So the 1st thing is please do not be apologetic or embarrassed by this phobia, there are other people who suffer from it so you are not alone! Now, the 1st thing I would do is phone up the local dental hospital and find out if they have facilities to treat dental phobia and if not, search these 2 keywords + the name of your area on the internet and see if any dentists are available in your area to help you with this problem..
Sedation can be given in a number of different ways. The simplest and easiest and also the lightest sedation is by giving you some tablets to swallow half an hour before the procedure to calm you down. The sedation is very light, and you will indeed be vaguely aware of what is going on but it should be tolerable for you. The next is to have an injection in your arm where the sedation is very much deeper and more profound and you will most certainly not be aware of what is going on. In fact, you will be quite dosey for the rest of the day after having the treatment done. Usually a separate sedationist looks after you while the dentist/periodontal gets on and does the treatment that is necessary. The next stage up is to have a proper general anaesthetic, and for that you have to be administered hospital and spend an overnight stay there but you will definitely not know anything about the procedure and you will most certainly not wake up during it either. So there are lots of things that can be done to overcome this problem, but may I make a suggestion? I have had a number of patients with the same kind of problems that you are explaining, and I have found that they respond extremely well to medical hypnosis. Medical hypnosis is done by qualified people who specialise in giving you ways of coping with your phobia more easily so that you are able to manage it more effectively in the various forms that it manifests itself, and I would like to suggest that maybe you should consider having a course of medical hypnosis to see if that enables you to calm yourself down enough to cope with these difficult situations in your life. Yes it does sound like you have a major problem, and that at only 26 you really should not be losing so many teeth. I really cannot give you any advice on what you can do without actually seeing you, but I do agree with you that you should see someone like a periodontist to find out why you are losing teeth and what can be done about it. Now, Rachel, you mentioned that you are nervous but so are most people when they go to the dentist. That is quite normal and in you it might be worse than normal because you have had teeth extracted and that is always a frightening experience. But you do need to pluck up courage and arrange to see a periodontist for an assessment and treatment plan to get this problem under control. These days there are all sorts of things that can be done to help you if you are very nervous, and they include being sedated and having the treatment done so that you are blissfully unaware of what is going on and all of the treatment can be carried out while you are in the state. But the 1st thing you need to do is to pluck up enough courage to go and see a periodontist and discuss with them what the problem is, what they can do about it, and how they can do it so that it is easiest for you to cope with. Thanks for the compliment about my website and the information that I give out. It is greatly appreciated. Unfortunately the only way of getting periodontal disease under control is to get it treated because the problem is due to debris and dental plaque and dental tartar building up underneath the gums where, however well you clean your teeth and gums, you simply cannot get at it. In the 1st instance seeing an hygienist regularly will help to keep the condition under control until you can get it fully treated and managed. You may be lucky and be able to get a referral to a local dental school for treatment of your periodontal disease but usually they are overwhelmed with patients and it might take a long time to get an appointment. Hi, I just had my teeth cleaned at the dentist office for the first time in six years. I used to see the dentist every six MONTHS back when I lived somewhere else where insurance paid for it. My previous hygienist would take about an hour and twenty minutes cleaning them each time. He used the metal tools and spent a good amount of time on each tooth (by hand) scraping right up by my gum line. This “cleaning” that I just had done was with some sort of electric thing and very little scraping by hand. She didn’t take more than a half hour on my mouth and it was nowhere near as thorough as my last dentist. Unfortunately this place is all I can afford as they have a sliding scale. What I want to know is : Is this the new normal …. that in the last six years the cleaning methods have gone to this electric bit without attention to the individual teeth ??? Your observations are absolutely right. This electric thing that you describe is probably an ultrasonic scaler, and these were invented in 1923 so they’ve been around for a long time and are not a new invention at all. They are quick and easy to use, and they do quite a good job cleaning your teeth, but they do not clean the debris that collect around and under your gum margins. For this you need the metal hooks (called hand scalars) that you described to get into the little nooks and crannies under your gums and this takes a long time, and obviously gives a much better level of oral cleanliness. One little tip though, if, when you clean your teeth or at any other time, you find that your gums are bleeding, then it does mean you are starting to develop a gum infection and you need to have a thorough cleaning to get the problem out of the way before it takes hold, maybe returning to the less vigourous cleanings once it is under control. Well, its normal and it isn’t normal! What’s important is that it is no great advance in treatment. The electrical machine that you referred to is probably an ultrasonic scaler, and I think the first ones were invented as early as 1923. So there’s nothing new in this approach to tooth cleaning. What this does do is it makes it much quicker to clean your teeth, but most dental professionals who use it supplement it with hand instrumentation as well. So just running around your mouth with one of these machines is possibly not good enough to get under the gums and clear up the debris that has collected there and prevent any gum infections from starting. Also, please bear in mind the time taken doesn’t matter. Some people work very quickly and others work very slowly. One tip though for you to consider! Before they start cleaning your teeth they should go around your mouth with a special probe measuring how deep the crevices between your teeth and your gums are all around your mouth, and they should also take x-ray pictures every now and again to check on the bone underneath your gums. If they don’t do this, please ask them to do this and to give you the measurements and also to specifically tell you if the bone underneath your gums is okay. If they don’t do a specific periodontal assessment for you along the lines that I’ve described, maybe that will give you some indication as to how well they are looking after any gum problems that you may have. I’m afraid that once you have lost a tooth, it’s gone! You can’t glue it in or back in any way whatsoever! People don’t usually lose teeth for no reason at all. I haven’t had the opportunity of seeing you and making a diagnosis, but usually the reason why you lose a tooth, and you will most certainly lose more teeth with time, is that you have advanced periodontal disease. What you need to do is to see a periodontist (or dentist) and get the periodontal disease under control, 1st of all to save your teeth from falling out in the future, but more importantly to preserve what you already have. Simply replacing the lost tooth is possible with all sorts of dental appliances, but if you don’t get the periodontal disease under control, you will simply keep losing teeth until you end up with dentures. So, see a dentist as soon as possible and get the gum problems sorted out (or you can go directly to a periodontist if you wish to do so), but get this problem under control as soon as possible because the tooth that you lost is the 1st one and many others to follow! I’m sorry that it is taken such a long time to reply to your post, but somehow another it has been hidden in my system and I have only found it now. No, I’m afraid not. Once a tooth has been lost its gone! No glue or anything like that will keep it there. So you have to accept the situation. More importantly, you mentioned that there is one other tooth that is also loose, and sooner or later you are going to lose that one. What’s even worse news is that there are probably a number of other teeth in your mouth that have the same problem but haven’t got loose yet, so you really need to see a dental professional as soon as possible to have your mouth assessed, and to draw up a treatment plan to stop your teeth loosening, and preserve your dentition for as long as possible. The sooner you do this the better! Without actually seeing the x-ray pictures and maybe photographs of your mouth as well, I really can’t give you any advice on this. I obviously can’t arrange to see you because I live in the UK, but what I would suggest is that before you go in for such complex and drastic treatment that you get at least one or maybe 2 other opinions from other dentists. Thanks for contacting me about your dental problem. You must understand that I cannot possibly give you any dental advice without actually seeing you and assessing the situation myself. If you wanted me to give you some general advice, you would need to get hold of your dental records from your dentist, and especially x-ray pictures and dental chartings of your mouth, together with possibly a few photographs of your mouth, and then if you went to the paid section of my site (where obviously you will have to pay for my time and expertise in these matters) you would then be able to send all of this stuff to me for an opinion. However whatever opinion that I give you, it has to be limited by the fact that I have not had the opportunity of seeing you and assessing your mouth myself. This is a major treatment that is being suggested, and although this kind of treatment is done, there are several other ways of managing problems like yours. Before going into such a drastic treatment plan my advice to you would be to either discuss with your dentist what other alternatives he could offer you, or going get a 2nd or 3rd opinion from a couple of other dentists and then decide on the one that you think is best for you. You must remember the dentistry is not just about filling and cleaning your teeth but it is a very personal interplay between you, the patient and your dentist. Take any dental practice and you will find that some people have bad experiences and others think they are wonderful. It’s the same dentist who can’t possibly be bad and good at the same time. So personal factors play a major part in how good, or bad a dentist appears to be. Often a good guide to what a dentist is like is to get recommendations from friends and family whose judgement you trust, and before actually making an appointment you might consider actually going in to the practice to get some preliminary information from the receptionist and at the same time get the “feel” of the practice to see if you would feel comfortable in their hands. Also, if you’re looking for a new dentist maybe you could go to 2 or 3 for a checkup and see what they have to say, and whether you feel comfortable with them and trust them. Then make a choice based on the one you feel most confident with. Unfortunately, most dentists don’t give free consultation appointment is, so you may need to invest a bit of money doing this research first to find the dentist that will be best for you. Your question is not an easy one to answer. Dentistry is a very personal matter so the first thing is you need to feel confident with the dentist, and you need to feel happy to have them. Only you can make this decision, and it will be different for everybody. The next thing is as with any matter that involves the provision of products whether they are dental, or soap suds at the local supermarket, you should naturally be wary of super salesmanship, expensive treatment plans, special offers, etc. If you feel you are being encouraged to accept a treatment plan that costs a lot of money, it makes sense (whether that be in dentistry or elsewhere) to take a 2nd opinion (or another words shop around) just to make sure you getting the most suitable treatmebt for you. Of course you can also look on the Internet for comments and feedback about dentists that you are considering, or get recommendations from other local people. Please beware of doing this, because people are entitled to their opinions and because one person has a bad experience with a dentist doesn’t necessarily make them a bad dentist as they could equally simply be “a bad patient” or they simply didn’t like the dentist that was treating them. So be a bit careful about this, because people’s opinions do vary greatly. I hope that helps you to find the right dentist for you. Someone told me people tend to loose their teeth due to age, I responded and said that’s not true age has nothing to do with it. It’s how you look after them soft teeth tend to have more problems than the hard. I disagree that smokers don’t have problems much either as long as they take care of their teeth with proper brushing care. Too many people tend to think they know it all their facts often turn out to be wrong. I don’t really have any questions but have talked with a few that said such thing and I know for a fact that proper care is the main issue to look after your teeth, and annual check ups to keep them healthy. You are absolutely right in your comment. People with aggressive forms of gum disease can start losing their teeth as teenagers and in their early twenties. So age is not the major factor There is no such thing as soft or hard teeth either. Yes, some people seem to have a genetic tendency to develop mouth problems than others, but this is a minor effect. What’s important is how you care for them as you quite correctly wrote, but also how you care for yourself! You do need to maintain very high levels of oral cleanliness, particularly in between your teeth where the toothbrush doesn’t reach. But more importantly we are finding links between periodontal disease and general disease so it’s important that you care for yourself as well with good nutrition, leading an active life, and avoiding habits that damage your body like smoking, and keeping your body generally clean, ensure that your immune system is in tiptop condition and you can resist not only gum disease, but general disease as well. All this stuff is very frightening to people who do not know much about dentistry. As a dentist I have read your comment, and very simply it seems to me that this is absolutely normal dental treatment. When you chip a tooth and you expose the nerve, you need to have a root treatment done (which were dentist described as killing the nerve) and a temporary filling placed (which is what you have got), and once the root treatment is completed, a permanent filling will be placed there which could be any one of a number of different kinds of fillings ranging from silver to white fillings. Also the tip of the tooth will probably be restored and there are a number of different ways of doing this, ranging from building it up with white filling material, to capping (also called crowning) the tooth. all of this is perfectly normal dental treatment so please stop worrying about it and just let it all happen. Of course, please remember that I have not been able to see you to assess the situation myself so there may be other factors that I do not know about, but from the information that you have provided it all sounds perfectly normal to me so please stop worrying about it-it sounds fine to me! With all due respect, I think heredity plays a much bigger issue in periodontal disease than you are acknowledging. I have taken meticulous care of my oral hygiene. I get root scaling cleanings every four months with my mouth numbed. I have regularly done this for at least ten years and I STILL have periodontal disease. I am 59 years old. My father had the same issues, and lost most of his teeth by the time he was 69. My 36 year old nephew has the same issue and has had gum grafting surgeries because of severe gum recession. So please, DO NOT say the only reason people lose their teeth is because they haven’t cared for them. That is a disservice to those like me, and makes people just want to give up. That’s like saying if you take care of yourself in a certain way, you will never get cancer or heart disease. Yes you are right, heredity plays a major part in the diseases that we get and how we respond to treatment. That is a fact whether you have gum disease, diabetes, heart disease, or anything else for that matter. Your genetic background is very important. So yes, you are right! But if you have a genetic predisposition to develop diabetes, or heart disease, or breast cancer, or any other disease, you have 2 choices: you can either, in your words “give up”, or you can try and maximise your chances of keeping yourself as healthy as possible for as long as possible. When I see patients with genetically driven advanced periodontal disease, who have treatment, poor treatment responses, etc. I never offer them a cure, because we cannot change your genetic background. What I do offer is to help them to keep as many of their teeth for as long as possible by reducing the progression of the condition and therefore the damage that it is causing for as long as possible. That is a realistic objective, only if people are meticulous (and that means better than average,…….. indeed even better than that!) in ensuring that even the slightest bit of dental plaque is not allowed to settle and get growing because of the high susceptibility that they have to the damaging effects of oral bacteria. So Karen, the decision is yours:- you can give up or you can accept that this is your weak spot and there is nothing you can do about it, oryou can accept that it is your weak spot, and if you want to preserve as much of your dentition is possible for as long as possible, you just have to manage it more vigourously than mmost other people with a combination of professional help and consistently high levels of oral homecare. By the way, in my practice as in many others it is generally acknowledged that having gum grafting and all sorts of other exotic periodontal treatment does not make much difference so more abd more periodontists like me are adopting a minimal intervention, nonsurgical approach to therapy to maintain s much of your dentition as possible in the long term. You need to see a dentist as soon as possible to try and get this sorted out, but if they are really so very loose, there is probably very little that can be done at this very late stage. I am 28 and visited my dentist today and whilst they said my teeth are good the news regarding my gums was not so great. I was told I had gum disease and that I could loose my teeth. This was a real shock to the system. At one point the hygienist described my situation as having ‘a castle built on sand.’ As I am sure you can imagine I am incredibly worried and wondering what I can do to dely and hopefully prevent what feels like the inevitable. Yes you are quite right to be worried and I would also be worried if I were you. If you have gum disease (i.e. periodontal disease) it will slowly erode away at the foundations of your teeth and they will become loose and slowly you will lose a number of them, if not all of them. If you are only 28 years old, it sounds as though you may have one of the more aggressive forms of periodontal disease. The answer is that you have to make sure that you go to a dentist or hygienist, and have all of the contaminating material removed from underneath your gums to stop the infection from progressing. This is called root surface debridement, root planing, or deep cleaning. You will probably need to see somebody every 3 months for at least a year and possibly longer to repeatedly do this task. If after about a year the condition is still present and you still have pockets of infection under your gums, you should consider seeing a specialist in this field of dentistry. A specialist in gum conditions is called a periodontist. So find a periodontist and let them do a full assessment and then you will be given the information and the knowledge about what is likely to happen in the future, and what can be done to treat it. Most periodontists, like me, do not require a referral letter from your dentist and if you are really worried, you may choose not to go to a dentist, but go straight to a specialist periodontist to get the condition under control as soon as possible. I hope that makes you feel better and gives you some direction as to how to deal with this problem. Sir my brother teeth is fall out his age is 13 years what his teeth grow up plz Sir give me answer??? I really do not know the answer to this because I have not been able to see him and assessed the situation. However, it is perfectly normal for a lot of back teeth to fall out in children between the ages of about 11 and 14 years old, and these are usually the baby teeth and they are usually followed by a new set of teeth.. If this is not happening you really need to arrange for him to see a dentist to find out why he has not got his new set of teeth. Next Next post: What Causes Periodontal Disease?